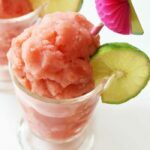 A refreshing, non-watery watermelon slush that has the perfect sweetness and is way better than any you can purchase! We are Juicy Juice Flavorful Fun Ambassadors. All views expressed are that of our own. Summer is all about the refreshingly cool taste of a juicy watermelon! I don’t know about you, but my kids and I could eat watermelon daily. We just love the naturally sweet, juicy flesh and fun scent. 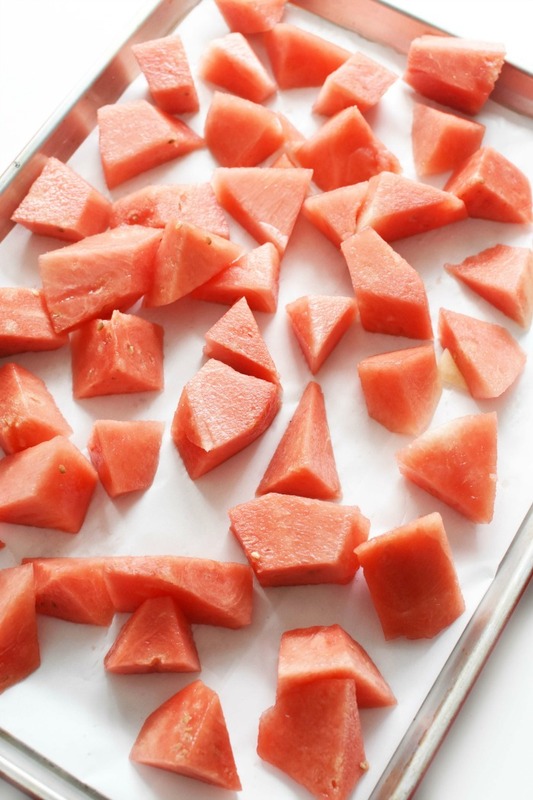 Watermelon is an amazing way to get your fiber and stay refreshed in the summer heat. Today, I am sharing how to make the BEST 3 Ingredient Watermelon Slush that is not overly watery or blah! 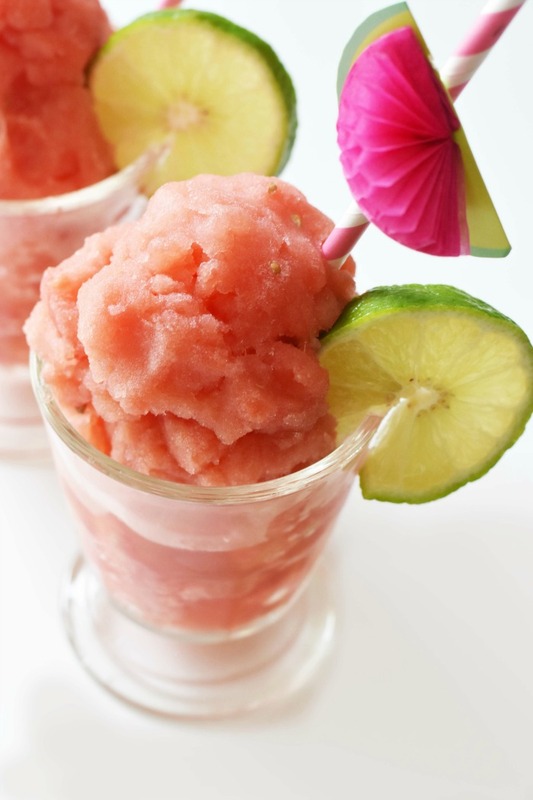 This watermelon slush scoops out just like the kinds you can find at amusement parks. 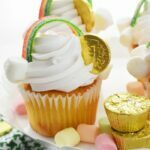 But, the best part is it tastes even better because, despite its icy texture, it is not made of simply water and flavoring. 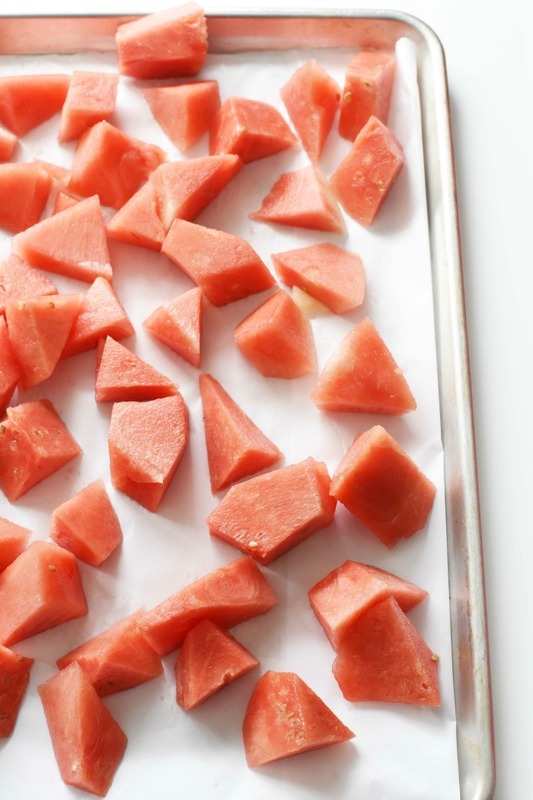 The trick to the best watermelon slushie is to pre-cut the watermelon into chunks and freeze directly. This ensures that you are not getting a cup of melty watermelon water. The frozen melon blends into an icy, smooth, and moldable texture. To help the melon blend in the food processor or blender, I added some fresh lime juice, and some Juicy Juice® 100% Juice Cherry. The Juicy Juice 100% Juice Cherry helps to add extra fruit sweetness to the melon, and it also helps the texture. Some people add extra sugar to their watermelon slushies but I find that to be unnecessary. The natural sweetness of the melon and splash of Juicy Juice are all you need! Sometimes, we even add in some fresh mint leaves to the food processor for an extra refreshing treat! 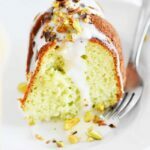 You can easily add some in for some extra yumminess without adding extra calories. We always have Juicy Juice on hand because the kids love it! 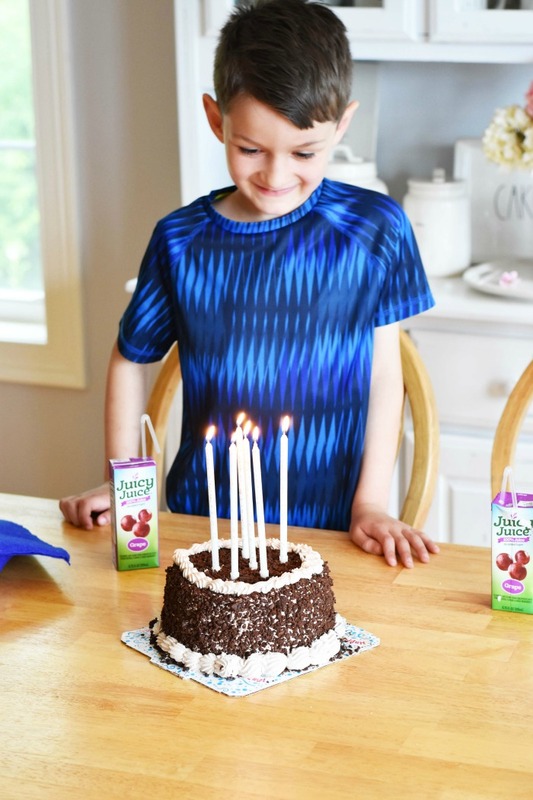 We actually just celebrated my son’s birthday and Juicy Juice 100% Juice Grape juice boxes were served to the kids. We love that it is a wholesome beverage that is not chock full of fillers and additives–just 100% fruit juice! I love these watermelon straws we found at Target–how cute are they? Love fruit? Check out these Fruit-Topped Pancakes today! They would make such a fun summer breakfast! 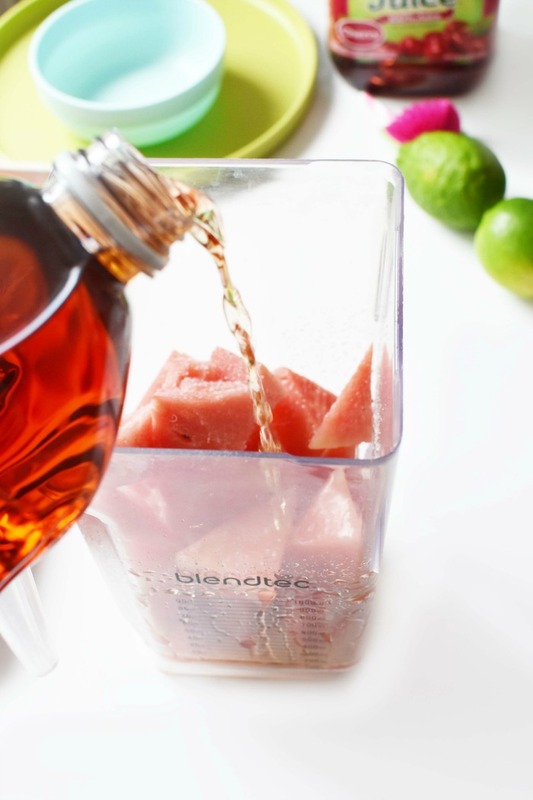 In a Blender, or food processor, add 1 cup of frozen melon chunks, half the lime and cherry juice. Process until smooth. 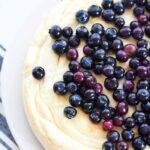 You will want to do this in two batches because if you overfill the food processor or blender it will jam. Pour into two cups and enjoy! Garnish with extra lime & a cute straw. Previous Post: « Easy Stovetop Queso Blanco! 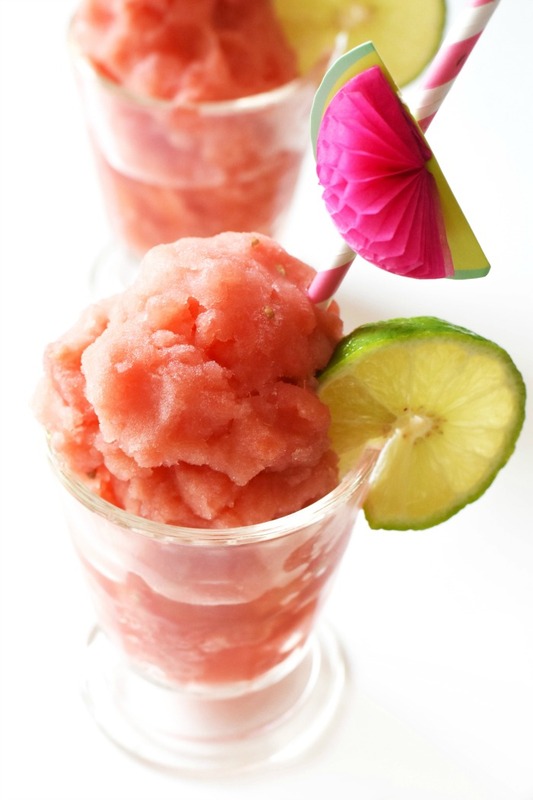 Watermelon slush sounds like the perfect thing for summer! I’d love to make up a bunch of these for our guests when we have our barbecues. That IS easy and my youngest is obsessed with slushes, so he is going to love you for this. It sounds so refreshing, too! I absolutely love watermelon drinks. This looks so yummy. Can’t wait to give it a try. We always have so much leftover watermelon. This would be a great way to use it before it goes bad. My kids are going to love this this summer! 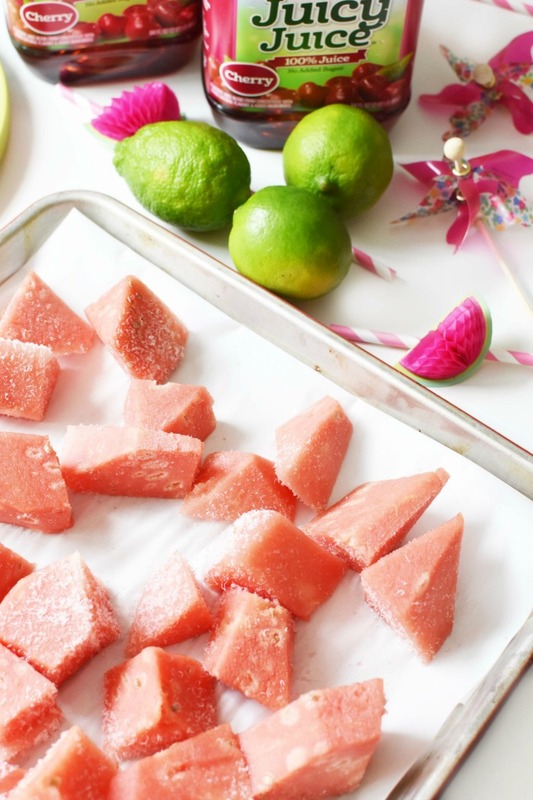 Oh you had me at watermelon – my favorite summer flavor! Love how vibrant and tropical this looks – and I could even turn it into an adult bev at the end of the day! I’ve always wanted to make watermelon slush. Now I can’t wait to give it a try. I just need to grab some of these ingredients so I can make it with my daughters. This sounds delicious! My kids would love this, it is a great way to stay cool when they are outside playing! 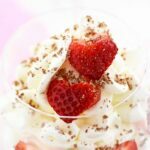 Easy to make too! I’ve been picking up some amazing watermelons lately. I’ve got to give this a try! This is what dreams are made of! My son is obsessed with slusees – I need to make them on my own. Juicy Juice is a staple drink in our house. I love this recipe. 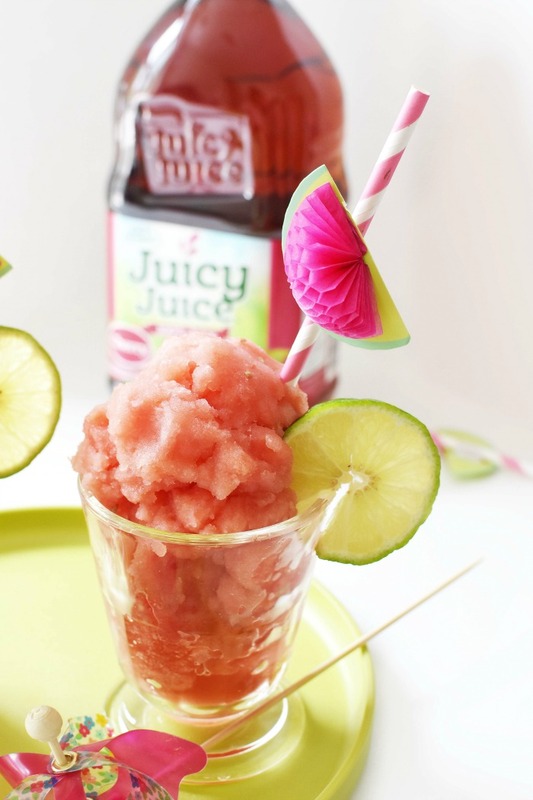 Never thought of making slushies with Juicy Juice. This looks so good. You could dip the cup rim in some tajin for a little adult pizzaz. 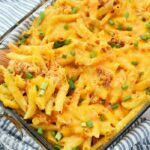 This recipe definitely gets me ready for summer. I absolutely love eating any flavor of slush but I like watermelon the best. I can’t wait to make this! It looks fantastic! A great way to cool down this summer! This slush looks so refreshing right now! It’s 90 degrees in KY! I could definitely go for one. These look amazing! My kids would love these on a hot summer day. 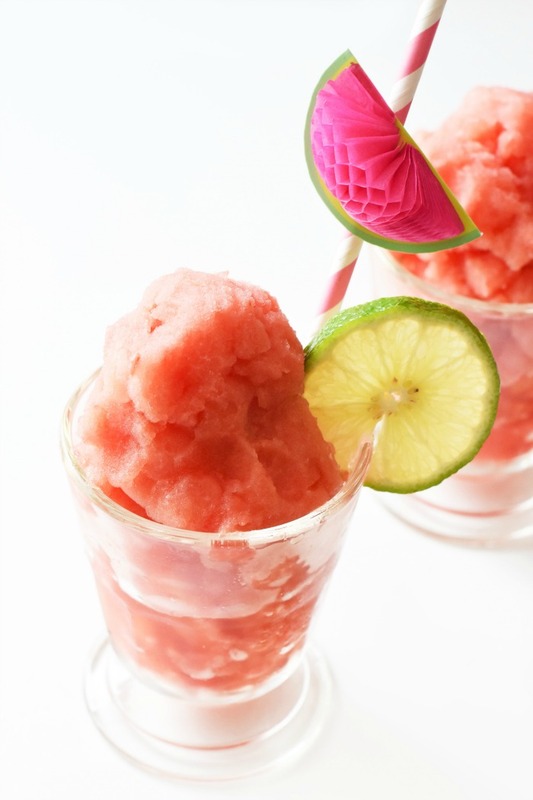 Watermelon is so refreshing on it’s own, but in a slush…yum! !